After 30 000+ downloads and many shares on social media and websites, I’ve decided to get serious and raise PCK Laboratory to a higher, professional level. So, from now on, I’m letting go of my dark side and turning PCK into a better and more enjoyable place for everyone. It was time to let the zombies go. It was time for a total redesign. 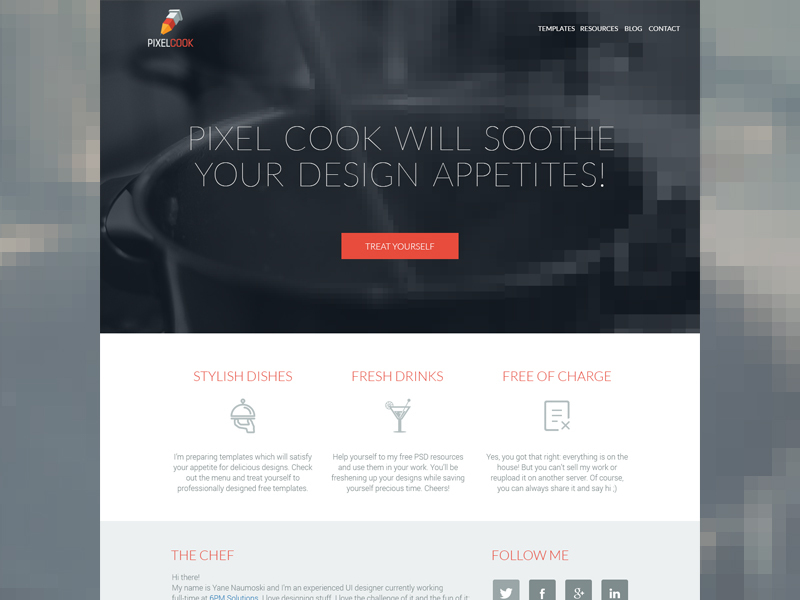 Now PCK aka Pixel Cook has a brand new logo and a new, modern and cleaner design. The PSD files are sorted in categories for easier navigation. For now, I have two: Templates and Resources. I intend to add three more very soon but I’ll leave that as a surprise. This blog is something completely new. Since I’ve always wanted a place where I can share my thoughts and express myself about design related stuff, it was time for me to create one. I promise I’ll do my best to be a regular writer.